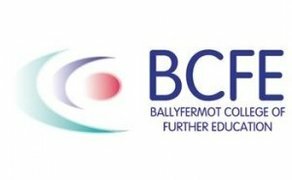 Ballyfermot College of Further Education (BCFE) is seeking applications for its new traineeship in creative media in production for visual effects and animation. This traineeship begins on March 4th rather than a conventional September course start-date and will run for 50 weeks. The course will be split between the college and practical placement with companies in the industry. This course provides a unique opportunity for applicants who have a keen interest in obtaining the skills to work in either the visual effects or animation industry in the area of 3D computer generated animation or effects. This is the first QQI level 5 traineeship course in Visual Effects and Animation in Ireland. It has been developed in collaboration with leading companies in industry. Animation production & post-production companies in Ireland have seen strong growth recently and have worked with BCFE to design this unique course. As well as the QQI awarded modules, the course will also include 3 additional specialist subjects, which will be delivered while on practical placement in industry leading creative media companies. The course is a 1-year (50 week traineeship). Students will be on practical placement in Industry for 26 weeks in various blocks over the duration of the year and the remainder of the course time will be completed at BCFE College. Click here for more information about the new traineeship.